Taylor Swift is getting married, for the cameras. Before you freak out and tweet Swift congratulations, the wedding is just for the country superstar’s new music video, Mine. Mine is the first single off the 20-year-old wunderkind’s third studio album, Speak Now, which lands in stores on October 25. Swift’s song already debuted in the top spot on Billboard’s Hot Digital Songs list in its first week of release after being rushed to radio. To debut the video, the Grammy-winner will host a half-hour television special live from an undisclosed location in Maine, where the video was shot. 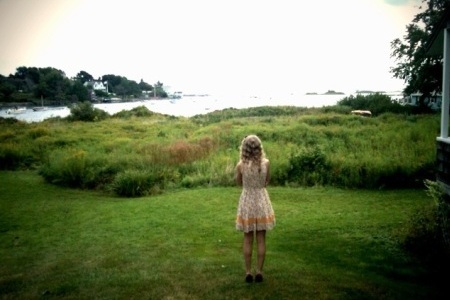 Earlier this month, Taylor was spotted in Kennebunk, Maine, where she emerged from a church wearing a wedding gown with her “groom,” British actor Toby Hemingway, as guests blew bubbles in lieu of throwing rice or rose petals. Later in the day, Taylor and her mother were spotted at Becky’s Diner in Portland, Maine, where Swift chomped on a burger and her mom dug into a lobster salad. The video for Mine will premiere on CMT.com, MTV.com and VH1.com, along with MTV International sites at 8:30 pm and VH1 will feature it on their Top 20 Video Countdown on August 28 at 9 pm. If you want more Taylor Swift, CMT and CMT.com will premiere the clip with the singer introducing the video as part of the exclusive, 30-minute live special.